Smoke drifts into the sky from buildings and houses hit by shelling in Homs, Syria (June 2012). Data analysis suggests that the death toll in the ongoing conflict in Syria has surpassed 60,000, the United Nations human rights office said today. Preliminary analysis carried out by data specialists on behalf of the Office of the UN High Commissioner for Human Rights (OHCHR) has led to the compilation of a list of 59,648 individuals reported killed in Syria between 15 March 2011 and 30 November 2012. “Given there has been no let-up in the conflict since the end of November, we can assume that more than 60,000 people have been killed by the beginning of 2013,” said High Commissioner Navi Pillay said. “The number of casualties is much higher than we expected, and is truly shocking,” she added. According to a news release issued by OHCHR, the preliminary analysis, which took five months to complete, was conducted using a combined list of 147,349 reported killings, fully identified by the first and last name of the victims, as well as the date and location of the deaths. Any reported killing that did not include at least these four elements was excluded from the list, which was compiled using datasets from seven different sources, including the Syrian Government. The analysts noted that 60,000 is likely to be an underestimate of the actual number of deaths, given that reports containing insufficient information were excluded from the list, and that a significant number of killings may not have been documented at all by any of the seven sources. “Although this is the most detailed and wide-ranging analysis of casualty figures so far, this is by no means a definitive figure,” Ms. Pillay noted. “We have not been able to verify the circumstances of each and every death, partly because of the nature of the conflict and partly because we have not been allowed inside Syria since the unrest began in March 2011. “Once there is peace in Syria, further investigations will be necessary to discover precisely how many people have died, and in what circumstances, and who was responsible for all the crimes that have been committed. This analysis provides a very useful basis upon which future investigations can be built to enhance accountability and provide justice and reparations to victims’ families. 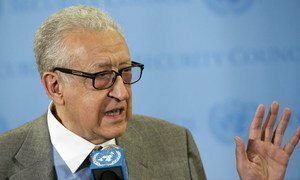 “This massive loss of life could have been avoided if the Syrian Government had chosen to take a different path than one of ruthless suppression of what were initially peaceful and legitimate protests by unarmed civilians,” said the High Commissioner. Recent months have witnessed an escalation in the conflict, which began as an uprising against President al-Assad and is now in its 22nd month. The crisis has left four million people inside the country in need of humanitarian assistance, and it is estimated that up to a million Syrian refugees in neighbouring countries will need help during the first half of this year. “As the situation has continued to degenerate, increasing numbers have also been killed by anti-government armed groups, and there has been a proliferation of serious crimes including war crimes, and – most probably – crimes against humanity, by both sides. Cities, towns and villages have been, and are continuing to be, devastated by aerial attacks, shelling, tank fire, bomb attacks and street-to-street fighting,” said Ms. Pillay. The failure of the international community, in particular the Security Council, to take concrete actions to stop the blood-letting, “shames us all,” the UN official said. “For almost two years now, my staff and the staff of the independent Commission of Inquiry have been interviewing Syrians inside and outside the country, listening to their stories and gathering evidence.